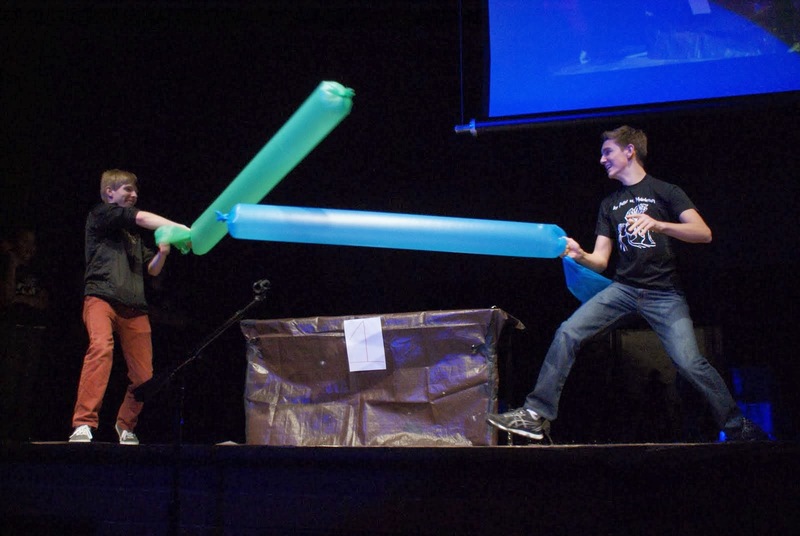 On November 22nd, after two days of no sleep, plenty of bagels, and a few too many juice­boxes, we presented eight episodes of the Lakeville South High School Spectacular Science show. 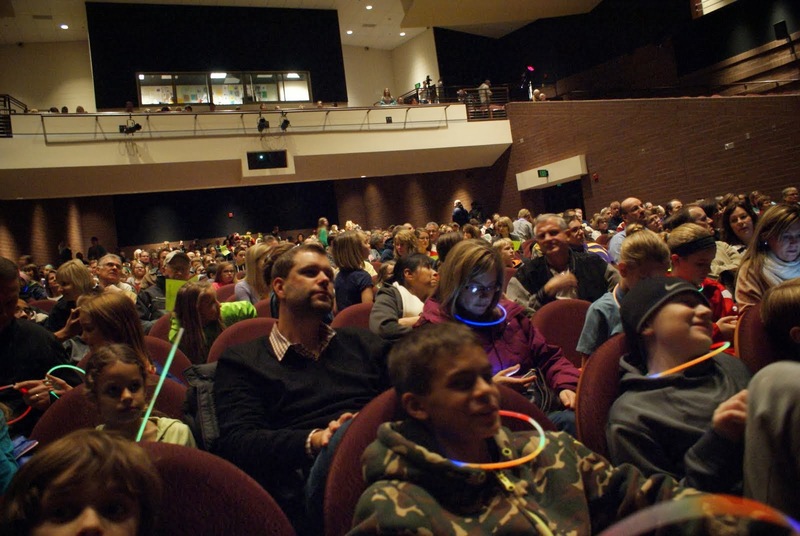 During the school day we presented to all 1,855 students in our school, followed by our 6:30pm grand finale in front of the Lakeville Community, Lakeville, Minn. Before the sun set, we had displayed the incredible power of chemistry to over 2,700 Lakevillians of all ages. 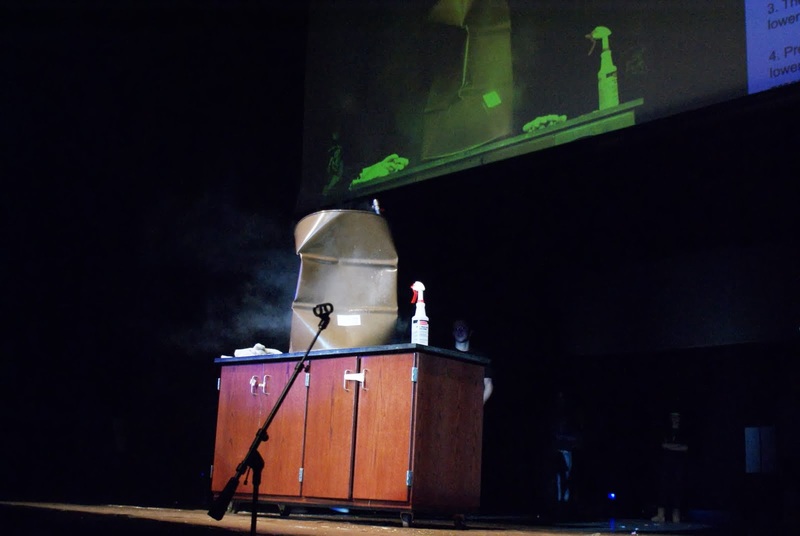 The 2013 Chem Demo went down in the books as a huge success…definitely thermodynamically favored. 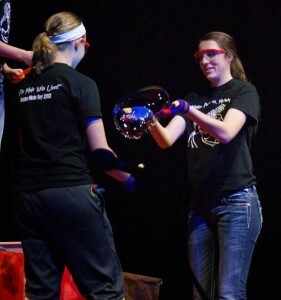 It is undoubtedly an experience we will never forget. 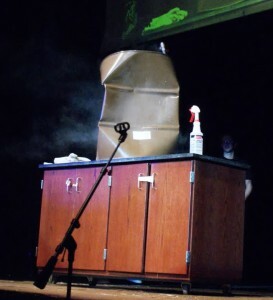 Although a few presenters took away some scrapes and bruises, and one slightly singed shirt, no one will ever forget the message…Chemistry for Life.